On this date in 1937, Georgy Pyatakov was condemned to death and shot in Moscow as a Trotskyist conspirator. Pyatakov (English Wikipedia entry | the more detailed Russian) was a young Bolshevik activist not long out of his schooling — and his de rigueur Siberian sentence — when the Russian Revolutions of 1917 overturned tsarism. He played an important role in the Communist revolution in Ukraine but his political opinions come the 1920s essentially aligned with Trotsky’s and we know where that will land a Bolshevik once Koba has the state in hand. Pyatakov would die in the second of the so-called “Moscow Trials”, which was the third of the signal deadly show trials that would herald the frightful acme of Stalinism: preceding it was the First Moscow Trial or the Trial of the Sixteen in August 1936, in which Old Bolsheviks Zinoviev and Kamenev were executed as supposed Trotskysts; it was followed in November 1936 by the Kemerovo Trial in Western Siberia, in which a mining disaster was pinned not on shoddy industrial management but on a Trotskyist “wrecking” conspiracy to sabotage the Soviet economy. Gleefully did these trials compound upon the web that Trotsky was spinning from exile in Mexico. In principle, Stalin could have chosen simply to purge Zinoviev and Kamenev as rival aspirants and have done with it: in practice, these were merely early stones of an avalanche. The Kemerovo trial expanded the grasp of the Trotskyist conspiracy to compass orchestrating terrorist cells among the whole populace; and even as arrests in locales throughout the USSR vindicated this theory, the Second Moscow Trial — our focus — made the next round of doomed elites the “reserve center” backing up the Zinoviev-Kamenev guys “in case the main center was arrested and destroyed.” It was this junior varsity that had been coordinating for several years “the main work of wrecking, which ruined much in our economy” in coordination not only with Trotsky but with insidious capitalist rulers. (The comments are from the report that secret police chief Yezhov prepared for them, as quoted in 1937: Stalin’s Year of Terror) Hey, Trotsky in his day had put together the Red Army on the fly: the man knew how to organize. The progress of these official lines put any real or alleged opposition to Stalin on the same plane as treason against the state, the people, Communism, and with links reaching from the humblest disgruntled kulak all the way to a distant demon figure the parallel to Europe’s witch hunts is difficult to resist. The Soviet Union’s burning times would ensue with seasons of wild purging in 1937 and 1938. The Second Moscow Trial — or, as you might have guessed it is also called, the trial of the “Anti-Soviet Parallel Trotskyist Center” — unfolded from January 23 to 30 of 1937, and featured the entirely fictional tale that Pyatakov had secretly flown to Oslo to huddle with Trotsky on their wrecking strategy. 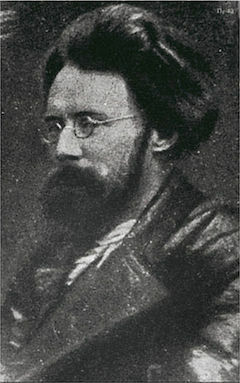 Not everyone suffered Pyatakov’s summary fate at the end; the most famous defendant in this affair, Karl Radek, got a penal labor sentence and was later murdered in the camps. The “Anti-Soviet Parallel Trotskyist Center” types were posthumously rehabilitated during the Mikhail Gorbachev era.